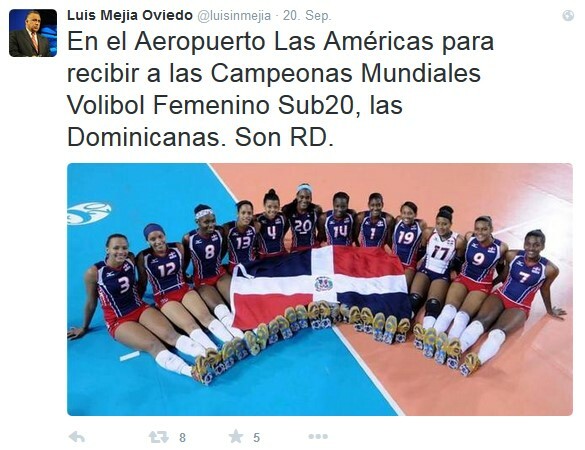 Lausanne, Switzerland, September 23, 2015 - There were scenes of joy at Las Americas airport when newly crowned world champions the Dominican Republic returned home from the FIVB Volleyball Women's U20 World Championship in Puerto Rico. Fans, family, friends and the press welcomed the country's first team to win a global volleyball title after their victory against favourites Brazil, coming back from two match points against them to win 3-2 (17-25, 25-21, 25-17, 24-26, 16-14). 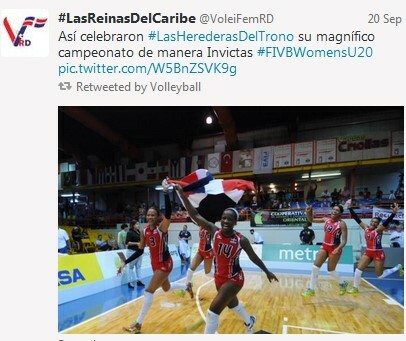 Las Reinas Del Caribe - the “Queens of the Caribbean” - made an entire nation proud. Which is why many of the country's top officials were also part of the welcoming committee at the airport. Luis Mejia Oviedo, President of the National Olympic Committee, described the players as a “national pride”. “Winning a World Cup isn't something that happens every two or four years, so it's time to celebrate. It’s priceless hearing the national anthem and seeing our country's flag being raised on the world stage. The boys' baseball team achieved this in 2013 in the WBC, when we won gold, and now the volleyball federation has repeated this feat at the U20 championship,” he said. The key to the historic title win was incredible team spirit. 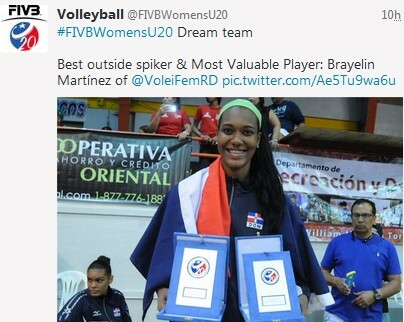 This was emphasised by Brayelin Martinez, who was voted MVP of the FIVB Women’s U20 World Championship after scoring 32 points in the final. 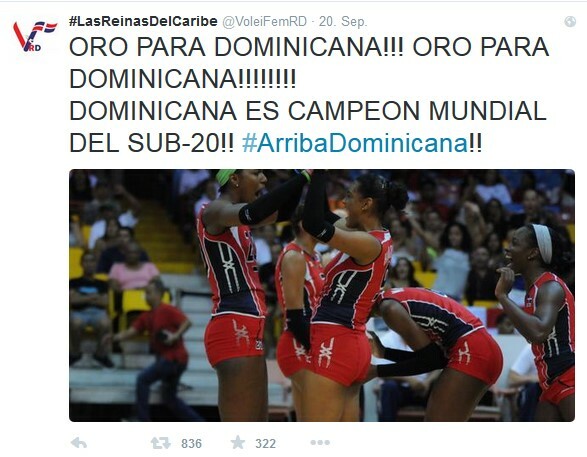 The towering Martínez joined Brenda Castillo – she was selected MVP after silver in 2009 - as just one of two Dominican players who have secured the coveted title at the age-group tournament. “It was a very tough tournament, the teams were very strong and had to give everything in every point. We all know the quality and the mystique that Brazil has in volleyball, but we knew we had what was needed to exit through the front door, I feel very good and happy – this is a once in a lifetime achievement,” said Martinez. With 177 points, she was also the competition's top scorer. “I know the talent of each of the players, I know how they think and how they play together. They are a real team,” said coach Wagner Pacheco. Martinez and her teammates certainly have a lot to look forward to. The next major target for the Dominican Republic will be qualifying for the 2016 Olympic Games in Rio.